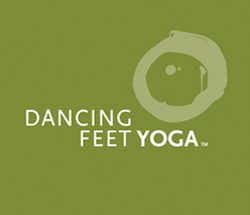 A combination of classical yoga and elements of contemporary mind-body psychology that facilitates a powerful release of physical and emotional tension. A Phoenix Rising Yoga Therapy Session is a one-on-one process lasting about an hour. Through assisted yoga postures and non-directive dialogue, Don guides clients to experience the connection of their physical and emotional selves. Using guided breathing, this connection is held and explored, fostering release, personal growth and healing. Body misalignment, injury or illness can manifest as pain in various parts of the body, often as referred pain from the source. By correcting or improving alignment, pain can be alleviated and optimal muscular and skeletal health achieved. During your initial session, Caroline will complete a structural alignment assessment and a history & lifestyle review. From this, she will create an individual program to address your physical, and if appropriate, emotional challenges. The program will include traditional poses and additional exercises that you will be able to continue practicing in your home. Breathwork and meditation techniques will be included as your condition and personal interest directs. Yoga clothing is recommended. The assessment will be completed fully attired. Subsequent sessions will last for 60 mins at $75 each. A written personalized plan for you to follow at home is available at $25.